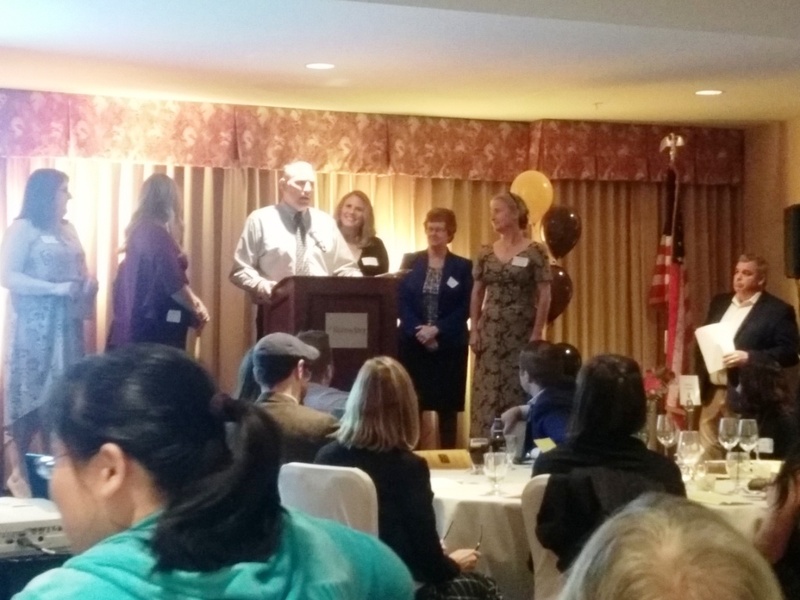 Literacy Volunteers of Rensselaer County brought together a festive crowd of students, volunteers and friends on Friday, October 5 at the Hilton Garden Inn, Troy for a 50th Anniversary Celebration – “Making a Difference . . . One Chapter at a Time”. The evening opened with a special message from the founder of Literacy Volunteers, Ruth Colvin, now approaching her 102nd birthday. 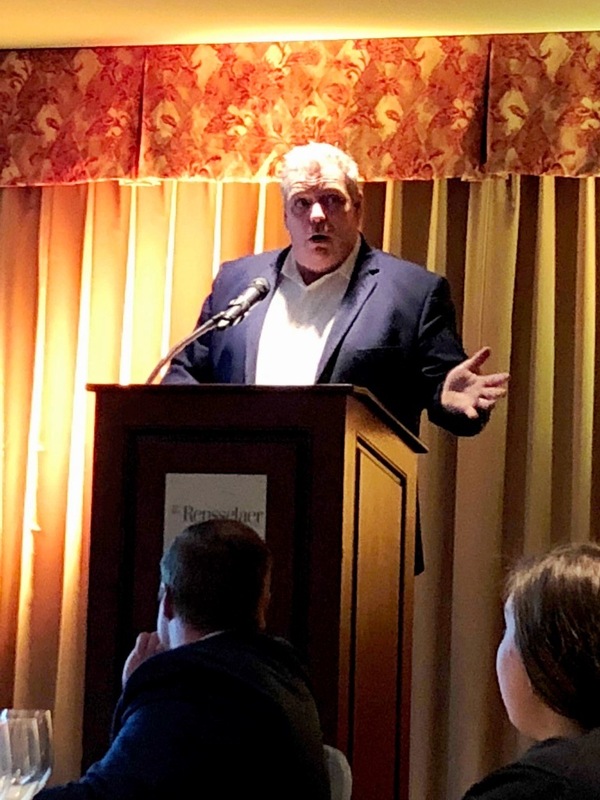 Broadcast journalist and author John Gray served as Master of Ceremonies and kept the evening light with his well-timed wit. 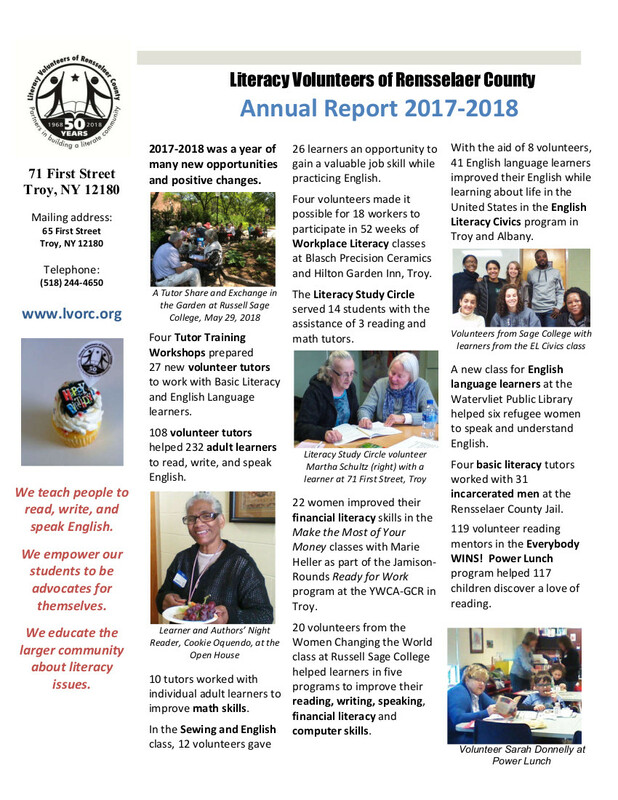 Guest speakers included past executive directors, board presidents, tutors, volunteers for special programs, and learners who exemplified the many ways in which LVORC has made a difference in our community. The evening was made possible with individual contributions and underwriting from BBL Companies, Renaissance Albany Hotel, Aflac New York, Blasch Precision Ceramics, KeyBank, and Hilton Garden Inn, Troy. All proceeds will help LVORC continue to provide programs and services free of charge to adults and children in our region.